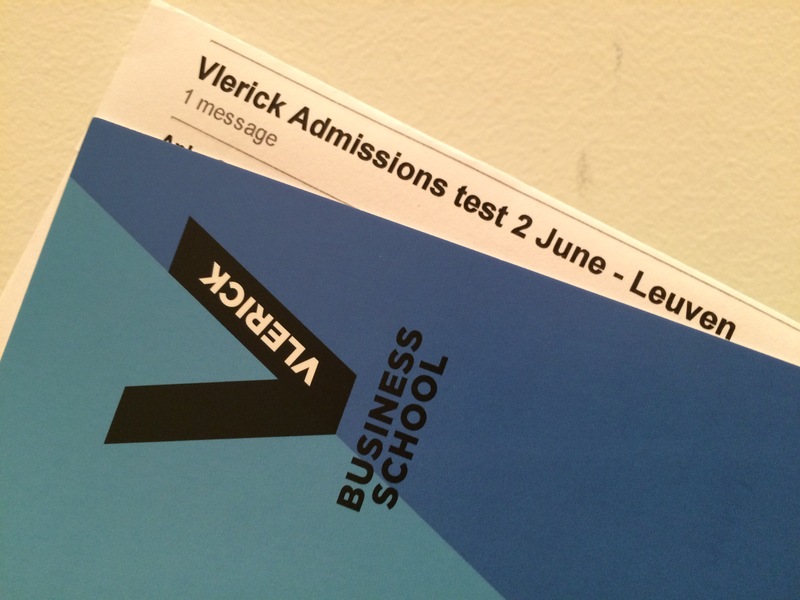 I maybe should have posted more about the life as a Vlerick alumni :-) Anyway, after … ooops! already 2 years, I went back to Vlerick, in its Leuven campus, in breakout room 006, with a suit (no tie) and for an interview. But this time I had the great honor to be a jury member for the MGM. I will not write about how to succeed in this type of test (I blogged about it before and other websites might do it better than myself). However it was interesting to see adaptations from Vlerick and the motivation of some students. 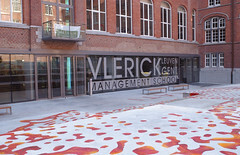 And, last but not least, independently of their success in this assessment, I was also impressed by the motivation of the students, the diversity of their backgrounds, their eagerness to join Vlerick. Well, for some of the students at least ;-) But if you feel the need to start/improve your business knowledge in Belgium, I would encourage you to consider joining Vlerick – and show your enthusiasm from the first to the last minute of the interview! PTMBA students in the press! If you want to have again another flavour of what Vlerick is and can bring to you (as if you were not already convinced ;-)), the MBA Podcaster recently interviewed some professors and students … in a podcast! You will successively hear about the Imax business game, the end of the year projects with concrete examples, what kind of students Vlerick is looking for, how Vlerick positions itself in the competitive world of MBA schools, about Leuven, the weather in Belgium, the international study trip, the in-company project, etc. On a negative note, I was disappointed not to hear anything about part-time and modular MBA programs. In about half an hour, it would have been possible to add something about these programs. I don’t remember the exact proportion but students following these program are not a minority. (And yes, I will be part of them in a month). As a side note, I appreciated that the podcast is directly available in mp3 format and not hidden in the source code or behind a registration process. Kudos for that, MBA Podcaster! I started with the English test. You enter the room, take your seat. Papers and a pencil are provided. My test was a text read by someone (a man) in a rather neutral tone and good English. The text was an article from The Economist about the merger of T-Mobile and At&T in the USA (people who took this test before told me they had a radio conversation about the Sarbanes–Oxley Act). The text is read only once. You can take notes. Your first assignment will be to summarize what you heard (my advice: do it in the more logical manner, not necessarily the way the information was presented in the article). Your second assignment will be to give your opinion on the article itself. I think it also helps to put some broader ideas about the environment in which the topic takes place. One last tip: use your time wisely. Immediately after, I took the logical test. It is not a GMAT (it’s easier in fact, more focused). You sit in front of laptops (with Belgian AZERTY keyboards, this disturbed some people on that day) and answer multiple choice questions. These questions are about what is presented in charts or tables. Some answers are obvious (i.e. you just need to find the right cell), most questions require some calculation (a very tiny calculator is provided ; if you have fat fingers, you can use the tip of the pen – also provided). During lunch, sandwiches and drinks are provided. It’s now time to really meet other people. What I liked was that it was very informal. You have – of course – people who consider themselves very important and look down their noses at you but most of other test takers are very friendly and relax. No business cards, no fluffy talks and a breeze of fresh air from students trying to enter other masters. Now how the two interviews proceed will depend on your background, your curriculum vitae, the interviewers and probably many other factors. The “cv interview” is supposed to go through your cv (! ): you might be asked to explain your career choices, what you did at some companies, how the MBA fits in your career plan, etc. During the motivational interview, interviewers will see your motivation (! ): why a MBA, why now, why full-time/part-time, why at Vlerick, how the MBA fits in your career plan, how do you see yourself in the future, etc. As you can read, it seems there aren’t any rules. I guess there must be some because each jury member can’t interview all the candidates. I think that what works is to be yourself, to tell the truth but always get the positive side, always build a constructive conclusion from what you think might be negative. How to prepare? Big question! My take is that you don’t need any preparation if you are already interested in business. That means you already know why you want to do an MBA, why at Vlerick, what are your career aspirations, what is happening in your business area, etc. That also means you already read the Financial Times, The Economist, CNN, Business Week, etc. (doesn’t mean you spend all your time on these media but you read some papers at least from time to time). You may prepare the distance assessment just for yourself: it already prepares you to answer some basic questions that will most probably be asked. One nice thing you can do is also find people who work in your current (or previous) company and who did Vlerick (“alumni”): offer them a coffee and discuss about why they did Vlerick, what they did to prepare, what questions they had, etc. During these interviews, I got interesting feedback like one who prepared the logical test by playing mind games at the Wii or another one who was asked which Disney character he was. What to bring? Definitely something to read. You’ll need to wait for some time between the interviews, during lunch and before the results (if you wait for them at the end of the day). Otherwise bring your c.v., bring a pen and some sheets of paper. If you are patient, the proclamation usually takes place during the evening, around 8PM (or 9PM in our case). If you are in, congrats! If you are out, you have a chance to see what went wrong or any other reason why they didn’t take you. I think this is a very good think to know why you failed. And I think Vlerick should also tell people who succeeded why they succeeded and more importantly what can be improved. So personally I got it! :-) I was so happy I couldn’t believe it when they pronounced my name. I had to stop the car on the way back home to check my e-mails and get the written confirmation (oh, because they immediately send a confirmation by e-mail – that’s nice from them!). Wow, this is a long post! I would finally thanks alumni I interviewed for their precious time and people I met on the assessment day for the interesting discussions. I hope to see you later again!